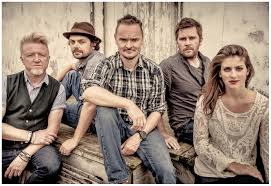 103.3 WJOD presents Gaelic Storm on March 10, 2016 in the Grand Ballroom at the Dubuque County Fairgrounds at 8:00pm. Tickets are on sale now at TriStatesNightOut, MoonDog Music, Dubuque County Fairgrounds office or by phone at 563-513-7314 or 563-588-1406. VIP admission is $55 and general admission is $37.